A hugely popular and influential figure on the UK culinary circuit, John Torode is best known as the straight-talking co-host and judge of fourteen seasons of BBC1's MasterChef, Celebrity MasterChef and Junior MasterChef, as well as the presenter of A Cook Abroad: John Torode's Argentina and The A to Z of TV Cooking for BBC2. He is also a regular guest chef on ITV's This Morning. 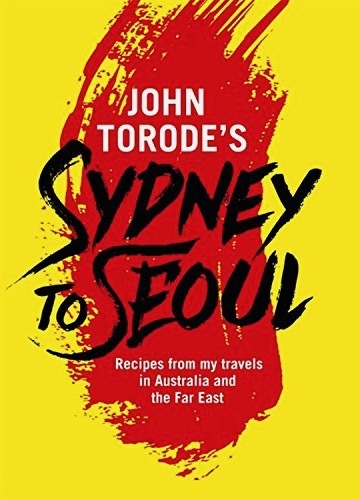 John went back to his roots with a culinary road trip across Australia for his series John Torode's Australia, which premiered in March 2014 and was the top performing show of the year on the Good Food channel. The series also aired on Watch from November 2014. Following on from this success, John returned to the Good Food channel in January 2016 with his Malaysian Adventure; a 10-part series exploring the vibrant and varied cuisine of Malaysia. 2017 saw John deliver two brand new ten-part series for Good Food; the first tapping in to the growing popularity of Korean food in John Torode's Korean Food Tour (July 2017), followed by John Torode's Asia (October 2017), which achieved the highest viewing figures for the channel since March 2013. Australian by birth, John is credited as one of the main players in introducing Australasian food to the UK in the mid-1990s. In 1992 he joined the Conran Group, starting out at Pont de La Tour before becoming Sous Chef at Quaglino's. In 1995, John became Head Chef for the launch of Mezzo in Soho; at the time one of Europe's largest restaurants. He opened Smiths of Smithfield in 2000. The four-floor Grade-II listed restaurant, private dining room and café, located in the heart of Smithfield Market, was a roaring success under his leadership and became a firm fixture on both the restaurant and bar scenes during his tenure. John's second restaurant venture was another popular multi-storey operation, The Luxe, which opened at Spitalfields Market in 2009. John was a member of the judging panel for the Glenfiddich Food & Drink Awards and appears at numerous food festivals each year. Masterchef John Torode embarks on a food odyssey from Australia to Asia, creating delicious recipes that combine his straightforward Aussie cooking with the fantastic flavours of Malaysia, Thailand, Korea and China. 'I have been lucky enough to travel through Thailand, Malaysia, Korea, China, Hong Kong, and with my early years in Australia, the food from these countries has inspired my cooking. Joyous, generous dishes taught to me by friends I've met along the way - and I am excited to pass them on to you. Here are the best dishes I've discovered, from a classic Thai Green Papaya Salad to Tteokbokki - my version of Korean Bolognese - and a quick and easy Peppered Tofu with Aubergine. There are also salads, including my Sweet Basil Salad, a Sydney-Asian fusion, and a Thai Lamb Salad that turned out not to be as Thai as I thought, plus curries, soups, noodles, rice and, of course, kimchi. 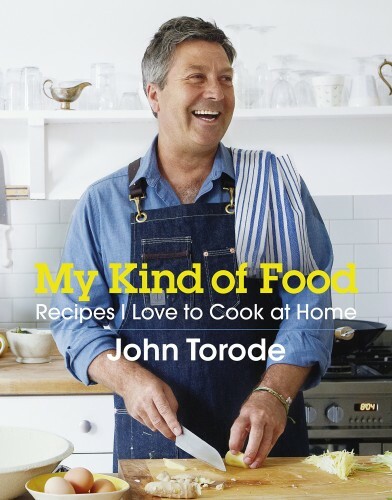 My Kind of Food is a very personal book from John Torode, full of the food that he loves to cook and eat, recipes that he makes away from the cameras and professional kitchens. 'My world as I know it started with my Nanna's roasting tin, a chicken and a wooden spoon. The food she cooked was always simple, but delicious. Her cauliflower cheese was awesome, her caramel slice wonderful and I am still searching for a recipe to make her apple tea cake.